We invite all first year students to attend! 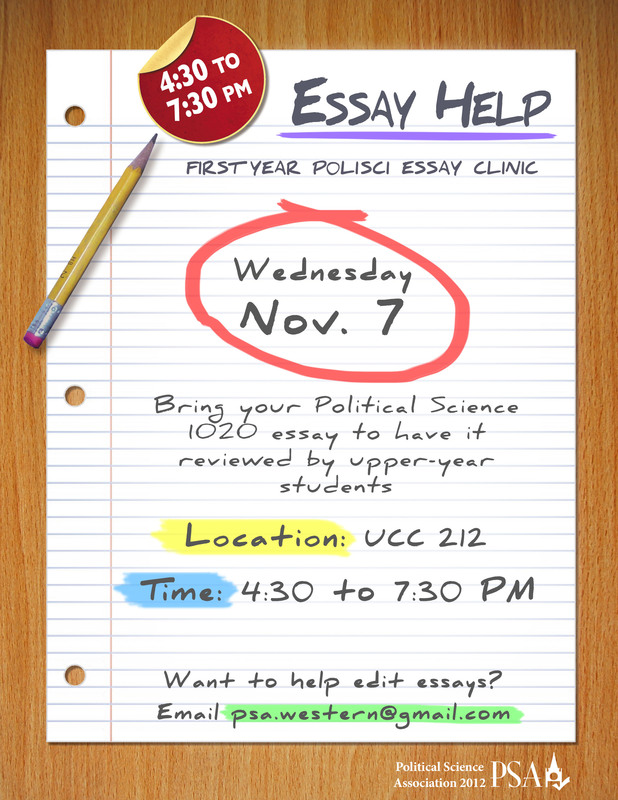 All of the executive and commissioners will be there to help edit your essay outlines and look over rough drafts. The evening will begin at with a brief presentation on expectations, and the rest of the night will be drop in. If you are an upper year student interested in helping out, please email us at psa.western@gmail.com ! Hope to see you there! November 7th, 4:30-7:30 in UCC 212.